Many business owners start with two to three social media platforms in order to increase their business presence through social media to reach a target audience. 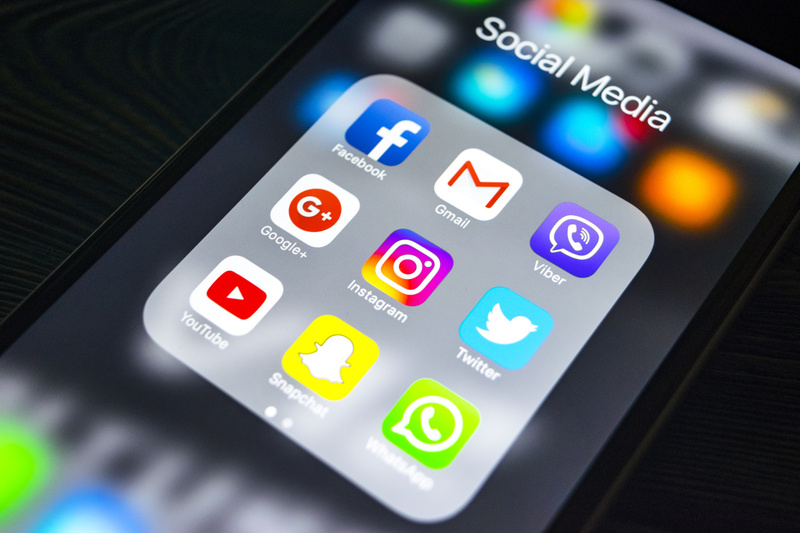 Juggling these social media accounts can be time-consuming, especially in an age where customers and prospects expect to hear from you if you’re connected on social media. Integrating social media tools into your social media marketing plan allows you to focus on researching new content ideas as well as keeping an eye on your competitors. Successfully managing your social media accounts will help you avoid common social media mistakes, allowing you to succeed not only in your digital marketing campaign, but also in customer service. In order to help you balance your social media needs, we’ve compiled everything you need to manage multiple accounts. When tapping into the world of social media marketing be sure to pick social platforms according to your time and availability. You probably don’t have time to learn a new platform, so when starting out, use what you know. Don’t choose a platform you aren't familiar with, especially if it isn’t relevant to your target market. For example, if you are a business coach, don’t go to Snapchat. You aren’t trying to reach teenagers and millennials—go to LinkedIn where you will find the business owners you want to reach. Even if you are familiar with the variety of social media apps out there, you shouldn’t choose one just because you know how to use it. You have to consider the commitment that will be required for each platform. Twitter famously only allows 140 characters (though it was announced in September 2017 that 280 character tweets would be tested). This makes it a great platform if you don’t have a lot of time and just want to make a quick business announcement. Instagram, on the other hand, requires a bit more work. Yes, it tends to only be a photo, but standards are high and beautiful images are expected and that’s not always easy to get. Facebook offers more of a “one-size-fits-all” approach. It’s wildly popular—you can spend as little or as much time or money as you’d like, and you’ll still see results. Because the average small business owner wears so many hats (boss, accountant, HR, social media manager, etc), you may find that you simply don’t have time to deal with the demands of social media. Many people turn to social media for customer service issues, so it is imperative you either find the time to work with social media or hire someone to do it for you. This is where you need to be careful, though. If you are handing the social media reins to a new hire, you have to be sure they know what they are doing. You want to keep your customers and prospects happy. Even large companies end up with major social media fails, and sometimes it is impossible to avoid, so always err on the side of caution when it comes to social media. If you’re not ready to hire someone, there are a variety of social media management tools to help you manage your accounts and save time. The vital elements of social media management—scheduling, posting, and commenting—can be done with ease. SumAll bills itself as “your personal data scientist.” Once you sync up all of your social media accounts, this platform provides business insights that will allow you to better serve your target market. BuzzSumo allows you to see what is popular on social media. Simply type in a topic (or a website) you want to research and it will pull up the most shared articles. You can even filter your search by content type, word count, and country among other criteria. If you want an even deeper dive, you can see backlinks per post, a content analysis, a Facebook Analyzer (this is great to see what kind of headlines and images work well), and more. Post Planner is a social media engagement app that helps you search for a specific topic for updating your post. In this, you can search with a keyword, hashtag, topic, trend, and other criteria. It even helps you know whether the post you are going to share is worth sharing or not. It also enables you to determine the ratings by reviewing your past performances and gives an image for your future engagement specific to your audience. Buffer allows you to schedule, track post performance, and manage all of your social media accounts in one place. With their simple posting tool, you can build your social media presence more efficiently because it does the work for you. All you have to do is schedule the posts and Buffer pushes them to whichever social network you choose. This allows you to build a following and establish trust in your market. Makeda Waterman is a freelance business writer and has been published on the Huffington Post, Glassdoor.com, Elite Daily, and Startingbusiness.com, among others. She has an education in journalism and owns a writing business with a passion for helping companies grow.